In a broad attack on the US tourism industry, the personal data of travelers from around the world have been comprismed. Not content to only steal data from US military agencies and major American healthcare systems, Chinese-linked hackers have now infiltrated America’s tourism industry. Although no name for the group has been publicized, digital fingerprints indicate that the perpetrator is the same in each attack. Similar to the previous attacks, it is believed that the hackers stole information about personnel and contractors including background checks, sexual and medical histories, and contact information. It is feared the growing trove of data could be used to blackmail or trick officials and contractors into revealing more sensitive information. Sabre Corp., a company which processes the reservations for hundreds of airlines and thousands of hotels, has confirmed that its systems have been penetrated. Sabre provides services to more than a billion travelers each year from all over the world. Sabre could not yet say what data had been stolen. However, the attackers left traces of Internet Protocol addresses identical to those left behind in the US Office of Personnel Management hacks. 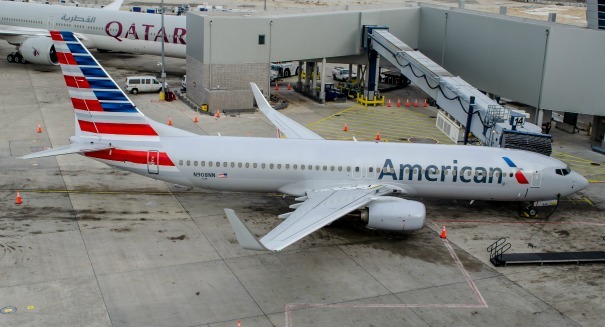 American Airlines Group Inc., the world’s biggest carrier, is conducting a thorough investigation of its computers due to suspicions that the hackers attacked their systems as well. These attacks come only a week after security experts announced that United Airlines, the world’s second largest carrier, had been attacked by the Chinese group. Together this marks the broadest attack on the US travel industry of all time. “They’re doing this in large numbers — that’s why they’re so successful,” said Tony Lawrence, chief executive officer of VOR Technology, a Columbia, Maryland-based cyber-security firm that works with U.S. defense agencies. Chinese officials have continuously denied any participation in the cyber-attacks.